You know … the kind of cleaning where moving something to clean under it inspires a complete room transformation? Well, this time it went in a different direction. I have this table. This table bothers me but yet at the same time it doesn’t … does that even make sense? Sometimes I’m okay with it being not painted but then in the next breath it bothers me that the wood tone tends to look a bit orangeish in some lighting. Well … lets just say I finally took the plunge and painted it! Right in the middle of vacuuming beside it, I shut it down, whipped out the Fusion Champlain and went to town on it right there in the kitchen! My reasoning was that while I was waiting for the paint to dry I could finish my house work. Well … then the broken lamp that was on the table caught my eye and all of a sudden it had a coat of Champlain on it as well! Oh my garden! It looked so good! But the shade no longer matched … turns out I had a little vintage wire shade in the garage that worked out perfectly. Painting the table and the lamp then inspired me to bring in some dining chairs that I had done that didn’t sell at the market. 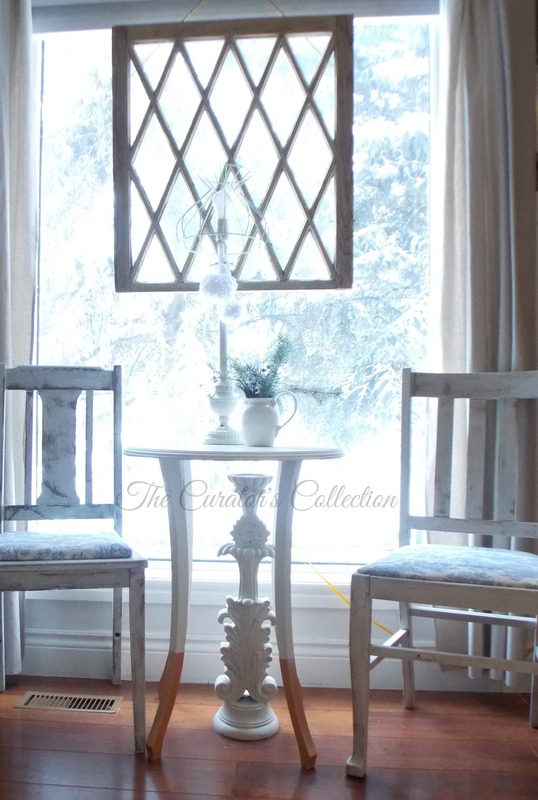 I love the blue and white toile on the seats and the chairs were also painted with Fusion’s Champlain but distressed. Um, yah … my paint brush may have accidentally touched that large candle holder as well. In my defense, I hadn’t painted anything since the market at the beginning of December. That’s an awful long time to go without paint on my pants! I also thought I’d glam the table up a bit and gave the legs a dipped look with some metallic copper paint. Not sure if I’m in love with it but the more I look at it the more it grows on me, so we’ll see if it stays. 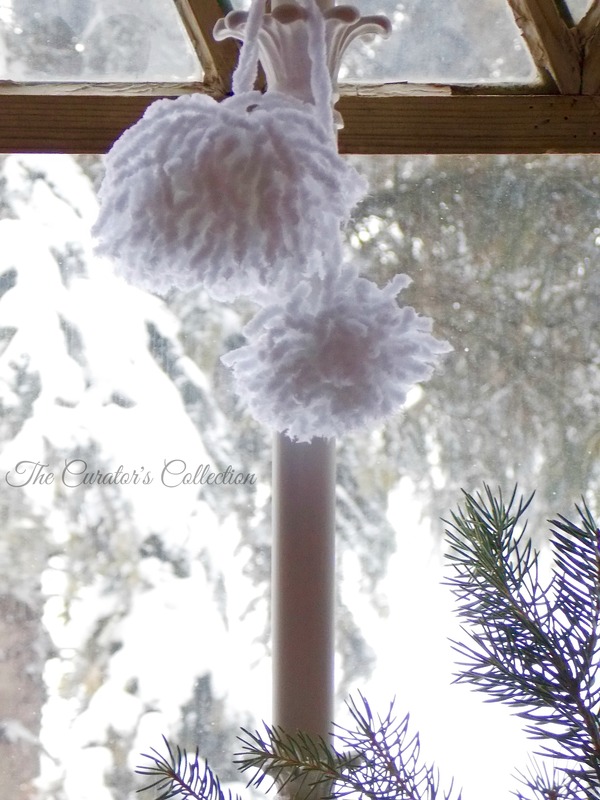 … I whipped up a couple pom poms to complete the festive winter themed vignette! Such a sweet little space now and it makes me wonder what took me so long to change the table when everything fell together so nicely. It literally took 10 minutes to paint the table, 5 minutes for the lamp and candle holder and another 2 minutes to make the pom poms! I guess you could say it was a 20 minute makeover! There was no mess either other than cleaning up my brush after. No sanding or topcoat needed, just paint and go. 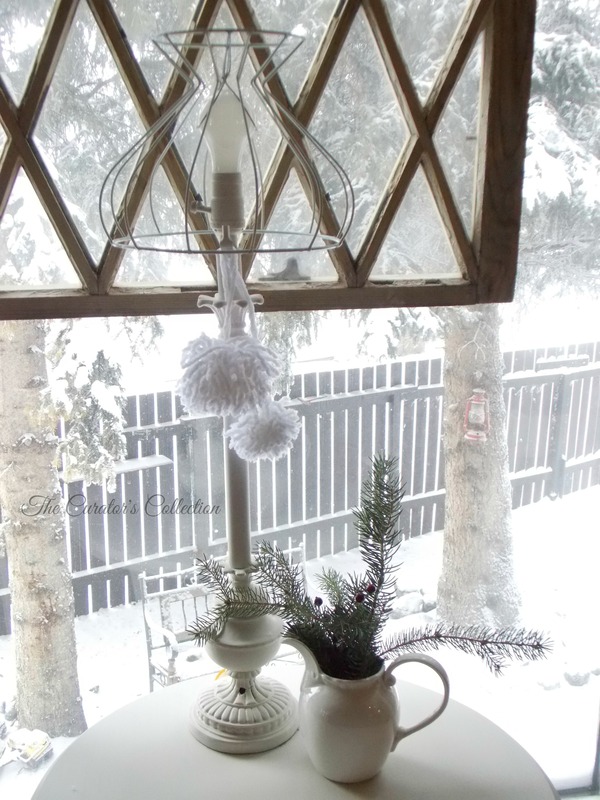 Loving the heavy snow resting on the trees outside. It felt good to actually do something for our home for once. 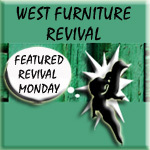 Maybe I will finally finish our antique sideboard now … we’ll see! 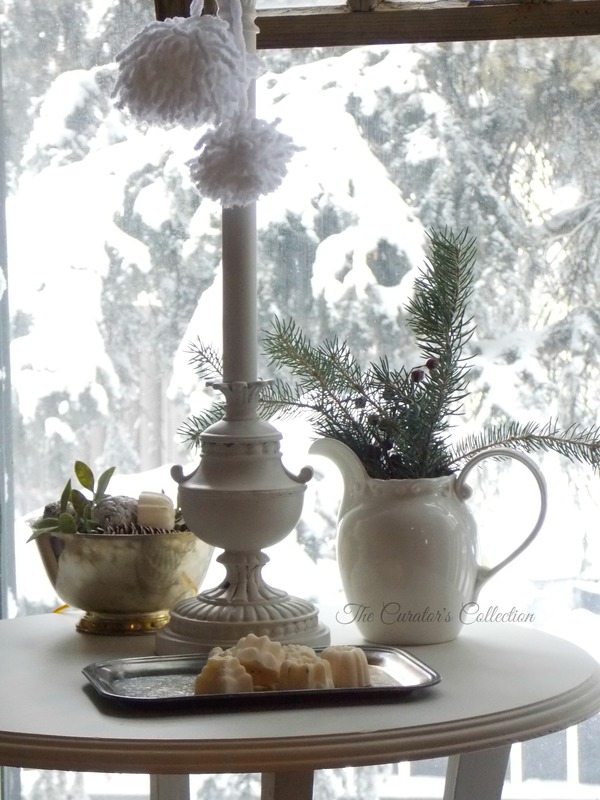 « 5 Minute Door Wreath & One Last Christmas Touch! Fantastic! I love the diversion from hoovering, it’s got my brain ticking now… hmmm, what needs a quick makeover?! You always make me want to get out the paints and fix something up! 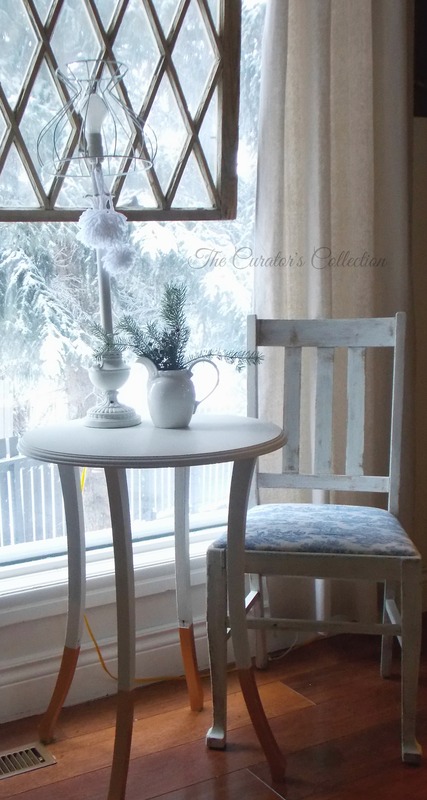 the table and chairs are perfect together. I always find one DIY project leads to another. It looks nice. Terry, I think the copper dipped legs are AWESOME!! 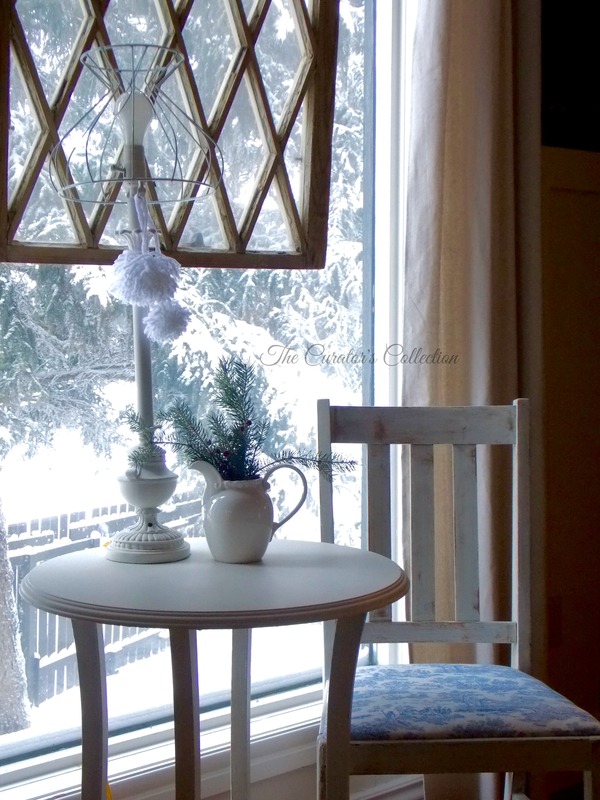 What a beautiful vignette and I’m swooning over the lampshade on that lamp. 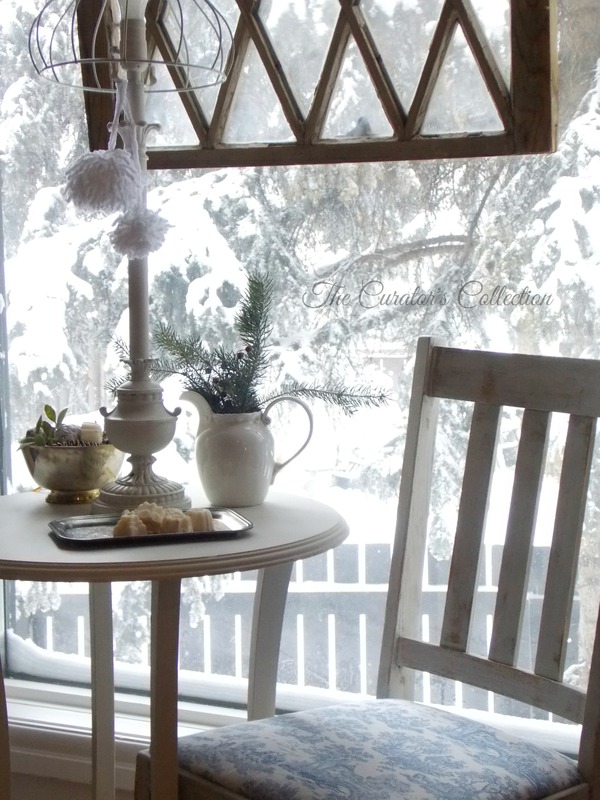 It looks like a cozy little spot to sit and watch the snowfall. Very nice and yes please, on the pretty fudge in the tray (assuming it’s fudge and not cookies). Thank you! 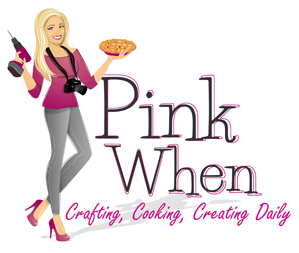 …and to be honest it’s neither cookies or fudge … they’re actually apple pie scented wax melts! lol … but they do look ( and smell) yummy! Wow, what a charming little space! I love it. So pretty as usual!! And you make pom poms. Your husband is one lucky man! I hope you have lots to share! I’ve missed you! So pretty and I love the pom poms!